We believe our first priority should be to provide Canadian scholars with an opportunity to address other Canadians. We also believe that these same scholars should have some means of addressing the international community of scholars. We particularly wish to see publications written primarily by Canadians, edited and reviewed by Canadians, but addressed to both a national and international audience. That is, we wish to recognize that much of the work being carried out in Canada is not only part of the Canadian conversation, but is among the most innovative work being done in writing studies internationally as well. We envision both research-based publications (in its broadest definition) and pedagogically-focused research. To this end we have established two parallel series of publications, one focused on research studies and one with a focus on pedagogy. Inkshed Publications publishes extended research studies, peer-reviewed monographs, and edited books. The editors are also interested in alternative formats. 1. Identify which kind of publication (see below) you are proposing. 2. Describe the area of research interest and its relationship to the goals of Inkshed Publications. 3. Provide an outline of the project. If you have other contributors already identified, list them and the nature of their contributions (a chapter on x, for example). If you are working as part of a collaborative team, describe how the team will work and, if appropriate, the role of each member. 4. Attach an outline or tentative table of contents (if appropriate). If you have a draft of the project, attach a copy of it. Edited Volumes: Edited books made up of approximately 200 pages (typescript, which is approximately 250 pages manuscript) with articles from six or eight different authors. These books will be copy-edited by members of the community who make proposals. Those proposals should include a discussion (2-3 pages) describing the intent of the book as well as the rationale for addressing the topic(s) in the book. The proposers should also suggest names of possible contributors to the book as well as the possible topics those contributors will discuss. For these volumes, prospective editors need not have contacted the possible contributors to submit a proposal, or, for that matter, need to have all of the contributors selected. Furthermore, prospective editors may suggest an idea for a volume without having particular contributors identified. In these cases, the editorial board can send out a call for papers on the topic of the volume on behalf of the editors. Decisions about the final papers for the volume will be made by the editors/proposers, in consultation with the editorial board. Monographs: Monographs, either singly- or multiply-authored. 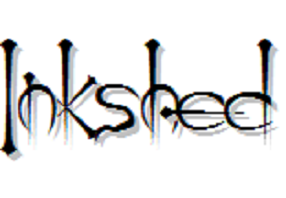 We are looking for extended discussions of topics important to the Inkshed community. These monographs will, typically, be about 100 pages long (typescript, i.e., about 125 pages manuscript). The topics covered by the monographs should be focused and of scholarly and pedagogical importance to the Inkshed community. Proposals for monographs should include a 2-3 page statement of the topic and its relevance as well as the theoretical perspective to be taken in the book. The proposal should also include a preliminary table of contents. The decisions of which monographs will be published will be made by the managing editors after the proposals have been sent out for review. Studies: We are interested in receiving proposals for a new category of research called Studies in Writing Research. This new category would publish work beyond that which is normally beyond article length (20-30 manuscript pages) but shorter than a monograph (approximately 100 pages). These publications will be made available as a pdf download from the Inkshed Publications website. Alternative formats: The editors are also interested in formats other than the two listed above and are interested in receiving proposals for such alternative formats. Proposals for such volumes should include the theoretical perspective of the proposed volume, the shape the book will take, and a possible structural outline of the book. Proposals must be submitted via email attachment in either .doc or .pdf format. If you wish to discuss any prospects or have any questions, please contact any member of the editorial team (http://www.inkshed.ca/blog/inkshed-publications/editorial-board/).